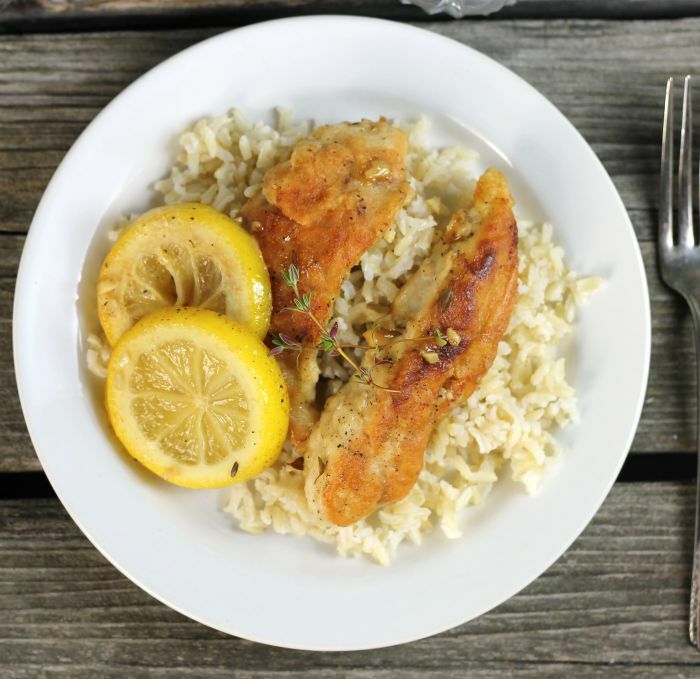 Lemon thyme chicken is a simple dish that you can enjoy any night of the week. Heat the olive oil in a skillet. Dredge the chicken in the flour and shake of the excess. Add the chicken once the oil is heated. Season the top of the chicken with salt and pepper. Cook the chicken for the about 6 to 7 minutes until the underside is golden brown. Flip the chicken and continue to cook for another 6 to 7 minutes and the chicken is no longer pink in the center. Remove the chicken from the skillet. Add the garlic, thyme, lemon slices, lemon juice, and chicken broth. Cook until the liquid is reduced by 1/3 to 1/2 about 5 minutes. Add the chicken back into the pan and simmer for 2 to 3 minutes. Serve with your favorite pasta or rice.